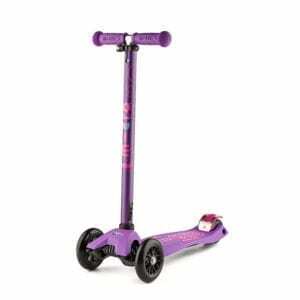 The micro Bullet Scooter features the same body as the popular Sprite Scooter but has extra thick 120mm wheels both front and back for extra comfort and speed. Its striking green-grey anodized finish stands out from the crowd and its light weight makes it easy to carry. Made with the same high standards that go into the design and manufacture of all micro scooters, the classic 2-wheeled micro Bullet is designed to be a convenient compact folding scooter for riders of all ages. With a maximum rider load of 100 kg, and handlebars that are extendable by 29 cm, the Bullet is suitable for almost everyone – from young kids 5+ to college kids and downtown commuters as well. The Bullet comes with a holder for a shoulder strap (strap sold separately – see Accessories), for maximum portability. Lightweight, yet sturdy and practical, the MICRO Bullet is reliable companion that can take you anywhere. The Micro Bullet makes the move from a 3-wheeled scooter to a 2-wheeled scooter easy and fun. 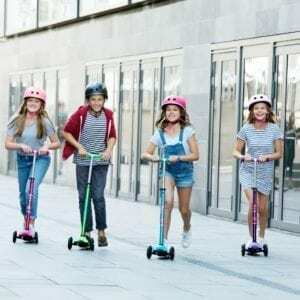 A beautifully engineered and designed scooter with adjustable handlebar, 360 degree steering, robust lightweight aluminium frame, making it easy for children to manage. 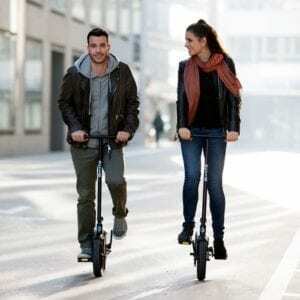 The Micro bullet scooter is incredibly robust as well as being ingeniously designed. 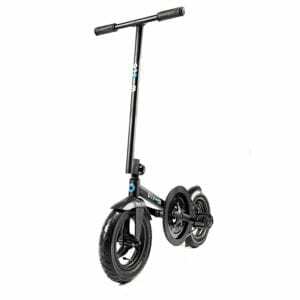 From the aluminium frame, non-marking 120mm wheels, tough brake and luxurious handle grips to the kickstand and one click folding and unfolding mechanism – every detail has been designed to be hard wearing, long lasting and easy to use. It’s the micro differences that set our scooters apart.